Nanomaterials and nanostructures; energy storage: battery, supercapacitors for various applications; energy conversion: solar cells, solar fuel, transparent electrode, light-trapping; printed electronics including nano-ink, roll-to-roll printing, flexible electronics (display, touch screen, energy), and wearable devices. The Bing Research Group works at the intersections of three fields: Nanomaterials, energy, and flexible electronics. Current projects in nanomaterials include synthesis and nanomanufacturing, and the structure, properties and applications of materials. Areas of interest include nanocellulose (1D) and 2D materials. The group's work in the design of energy-related devices include investigations of sodium-ion batteries, garnet-based solid state batteries, lithium-sulfer dioxide bateries, and nanobatteries. Professor Hu has also become well known for his creation of flexible electronic materials and devices, such as transparent "nanopaper," nanotube ink, energy textiles, and tiny, printed antennae. Professor Hu teaches "Nanotechnology for Energy: Principles, Materials and Devices" at the undergraduate and graduate levels. Professor Hu is also active in mentoring and outreach activities, including serving as an advisor to a Gemstone honors program team, hosting visits from high school students in Women In Engineering's LEAD Academy summer program, a partnership with Wheaton High School to create summer internships and new science lessons, and talking to visitors of all ages about materials science at Maryland Day. L. Hu, D. Hecht, G. Gruner, Carbon Nanotube Thin Films: Fabrications, Properties and Applications, Chem. Rev., 110, 5790, 2010, Invited Review. L. Hu*, J. W. Choi*, Y. Yang*, S. Jeong, F. La Mantia, L.-F. Cui, Y. Cui, Highly Conductive Paper for Energy Storage Devices, Proc Nat. Acad. Sci., 106, 21490, 2009. Reported in the New York Times, Scientific American, Stanford News and by the BBC; most downloaded paper in PNAS. X. Xie, L. Hu, M. Pasta, C. Criddle, Y. Cui, Three-dimensional Carbon Nanotube-Textile for High Performance Microbial Fuel Cell Anodes, Nano. Lett. 11, 291, 2011. L. Hu*, H. Wu*, F. La Mantia, Y. Yang, Y. Cui, Thin, Flexible Secondary Li-ion Paper Batteries, ACS Nano, 4, 5843, 2010. L. Hu, H. Wu, L. Cui, B. Sy, Y. Cui, Si-Nanoparticle Decorated Si-Nanowire Anodes for Li-ion battery, Chem. Comm., 47, 367, 2011. L. Hu*, H. Kim*, J. Y. Lee, P. Peumans, Y. Cui, Scalable Coating and Properties of Transparent Silver Nanowires for Flexible Electronics, ACS Nano. 4, 2955, 2010. News report in C&E News; most downloaded paper in ACS Nano. L. Hu, H, Wu, Y. Gao, A. Cao, L. Cui, J. McDough, X. Xie, M. Zhou, Y. Cui, Silicon-Carbon Nanotube Coaxial Sponge as Li-Ion Anodes with High Areal Capacity, Adv. Energy Mater., Accepted. L. Hu, M. Pasta, F. La Mantia, L.-F. Cui, S. Jeong, H. D. Deshazer, J. W. Choi, S. M. Han, Y. Cui, Stretchable, Porous, and Conductive Energy Textiles, Nano Lett., 10, 708, 2010. Reported by CBS, Technology Review, Onearth, MRS Bulletin, Stanford News; most downloaded paper in Nano. Lett. and ACS journals. L. Hu,* D. Hecht*, G. Irvin, Emerging Transparent Electrodes Based on Thin Films of Carbon Nanotubes, Graphenes and Metal nanowires, Adv. Mater. Invited Review, Online. News report on Physorg, Laserfocusworld, Nanoforum; most downloaded paper. L. Hu*, Y. Zhao*, K. Ryu, C. Zhou, J. Stoddart, G. Gruner, Light-Induced Charge Transfer in Pyrene/CdSe-SWNT Hybrids, Adv. Mater. 20, 939, 2008. M. Rowell, L. Hu, G. Gruner, M. Topinka, M. McGehee, H. Prall, G. Dennler, N.S. Sarciftci, Organic Solar Cells with Carbon Nanotube Network Electrodes. Appl. Phys. Lett. 88, 233506, 2006. J. Li, L. Hu, Y. Zhou, G. Gruner, T. Marks, Light-Emitting Diodes Having Carbon Nanotube Anodes. Nano Lett. 6, 2472, 2006. L. Hu, D. Hecht, G. Gruner, Percolation in Transparent and Conducting Carbon Nanotube Networks. Nano Lett. 4, 2513, 2004. G. Gruner, L. Hu, D. Hecht, Graphene Film as Transparent and Electrically Conducting Material, Issued, US 7449133, 2006. Y. Cui, L. Hu, H. Wu, Cu Nanofiber Transparent Electrode, Nonprovisional STFD259P1. L. Hu, J. Choi, Y. Yang, Y. Cui, Conductive Paper and Textile for Electronics, Stanford, Nonprovisional S09-252. Hu and Li were honored for their high performance graphite-paper composites. Winner will be announced at the 2019 Innovate Maryland event on April 11. Wachsman and Hu received funding. Hu has received multiple awards over the last year for his wood research. Lacey to present research at 234th ECS Meeting in Cancun. Yao, advised by Liangbing Hu, will complete his PhD this Spring. Researchers are the first to create nanoscale particles composed of up to eight distinct elements generally known to be immiscible. Corresponding research paper published in Advanced Materials. Bio-friendly insulating material created by UMD engineers. 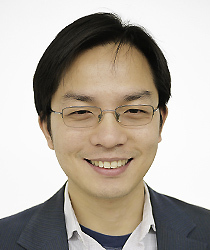 Research, led by MSE Professor Liangbing Hu, published in Chem. Novel garnet-fiber textiles maintain desired electrolyte flexibility while enabling high-capacity Li-metal anodes. New thermoelectric material, made of reduced graphene oxide, can withstand heat up to 3,000 K- will be used to collect waste heat and convert it into electrical energy. Liangbing Hu’s research group develops wood-based aerogel, published in ACS Nano. Hu was selected for this award based on several fronts of wood nanocellulose-based technologies. Drs. Wachsman, Hu and Wang receive awards. What if we told you that wood can be used to make a smart window that is more energy efficient than glass? Dr. Hu was selected for this award for his contributions to the fields of nanoscience and nanotechnology. Scientists in Liangbing Hu's research group explain novel uses of wood. Nature's 'bio-structure' helps UMD/MSE engineers solve Li metal battery failure problems. UMERC is a multidisciplinary initiative dedicated to advancing the frontiers of energy science and technology. New material described in ACS Nano, featured in Nanowerk and C&EN. Printed transparent conductors are the first to use sodium ions embedded in reduced graphene oxide to boost performance. Jiayu Wan wins Materials Research Society’s Science-As-Art competition. Award supports graduate student’s study of printed and flexible electronics and batteries. Four materials science students receive Honorable Mentions. UMD awarded more than $5 million by ARPA-E to fund potentially transformational research. Unique in situ measurement of optical and electrical transport led to discovery. Materials Science professors receive awards from the Md. Academy of Sciences and Md. Science Center. NSF funds new research to tackle tough challenge in material design. Energy storage research at UMERC has been selected by NASA to potentially power future space missions. New material designed to boost performance of solar cells, displays, and electronics published in Nature Communications. Interdisciplinary collaboration leads to use of cellulose fiber paper as antireflection coating for solar cells. MSE/UMERC professors team with U. Calgary to create advanced Li-ion batteries. Article highlights Hu Group’s recent paper in Nano Letters. Zhu presents work on new material at MRS and in Energy & Environmental Science. Professor presents group's development of transparent and conductive paper. New version composed of cellulose “nanoribbons” and silver wires can be produced using less energy. Eric Wachsman and Chunsheng Wang receive funding to create innovative batteries for electric vehicle energy storage systems. Clark School energy research, including solid oxide fuel cells and wood battery, featured in variety of mainstream media outlets. Professor and alumnus interviewed for Morning Edition. Hu wins prestigious Air Force Young Investigator Award. Professor offers expertise in nanotech, energy devices and flexible electronics.